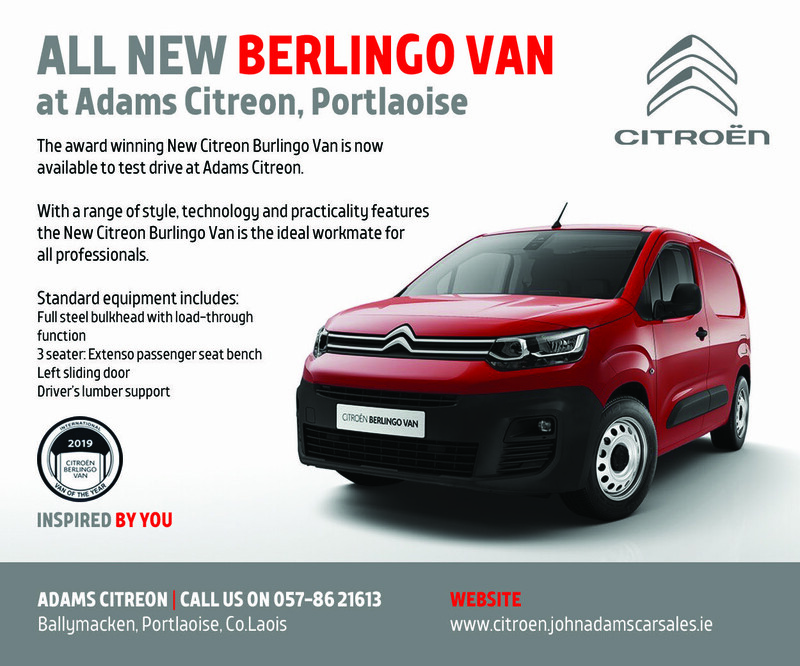 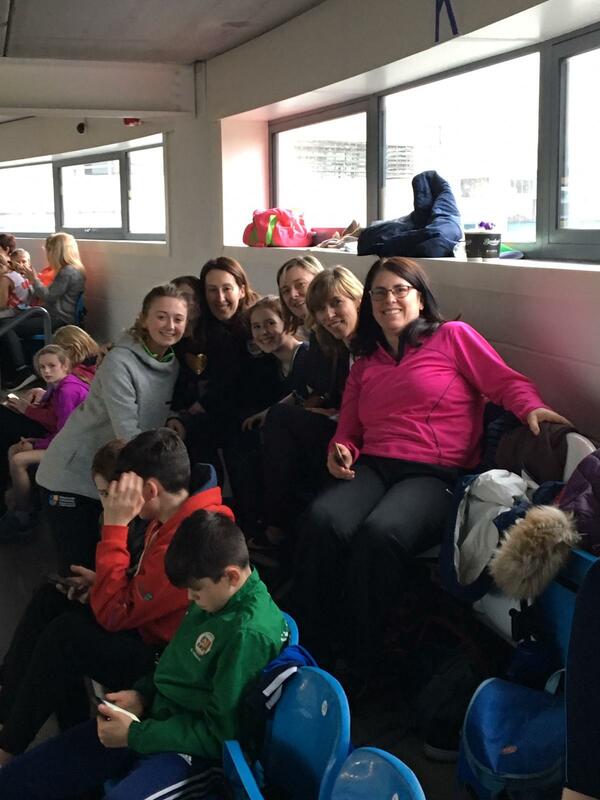 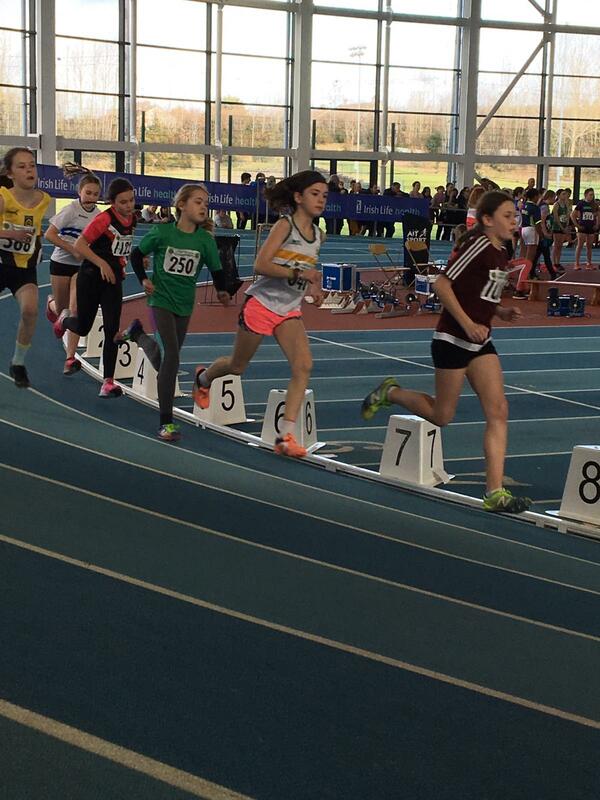 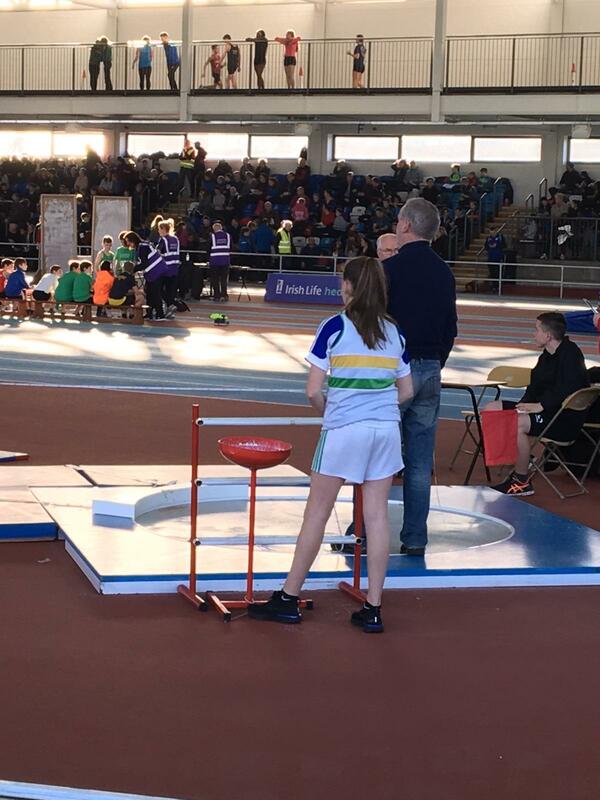 Laois had an amazing weekend of athletics in the Athlone Indoor arena. 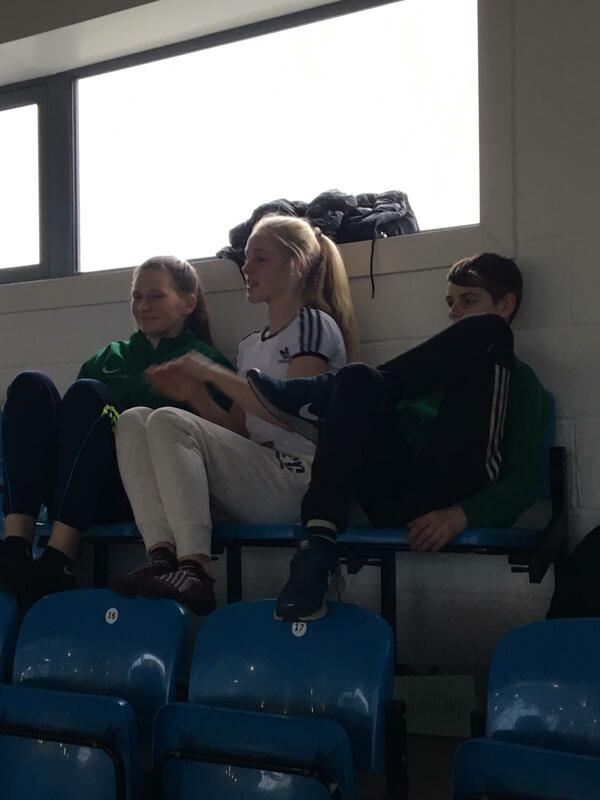 Laois Athletics two recent Leinster Juvenile Star Award winners for 2018 put in performances over the weekend in Athlone AIT Arena that will make them favourites again for the 2019 awards. 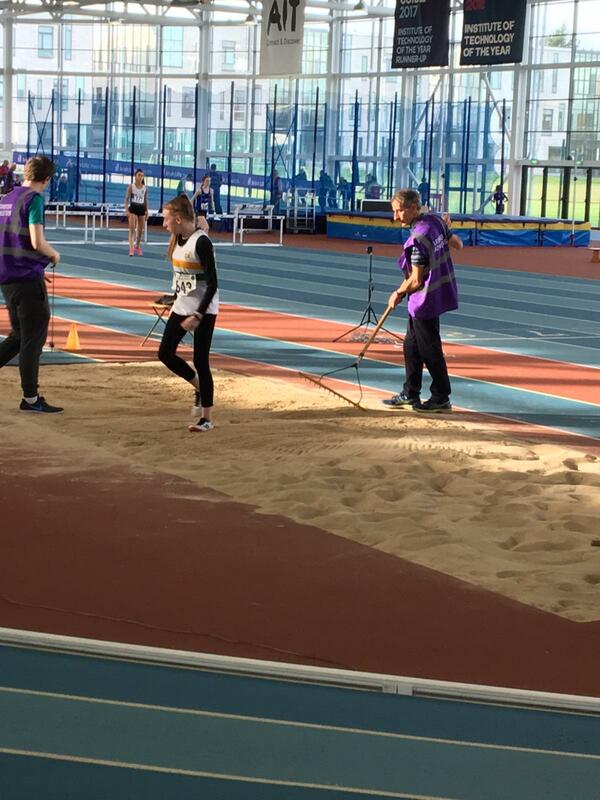 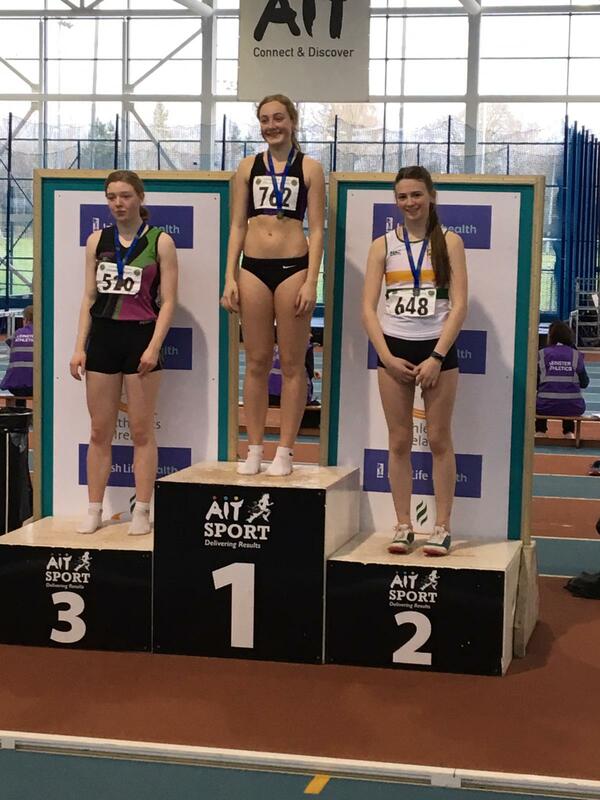 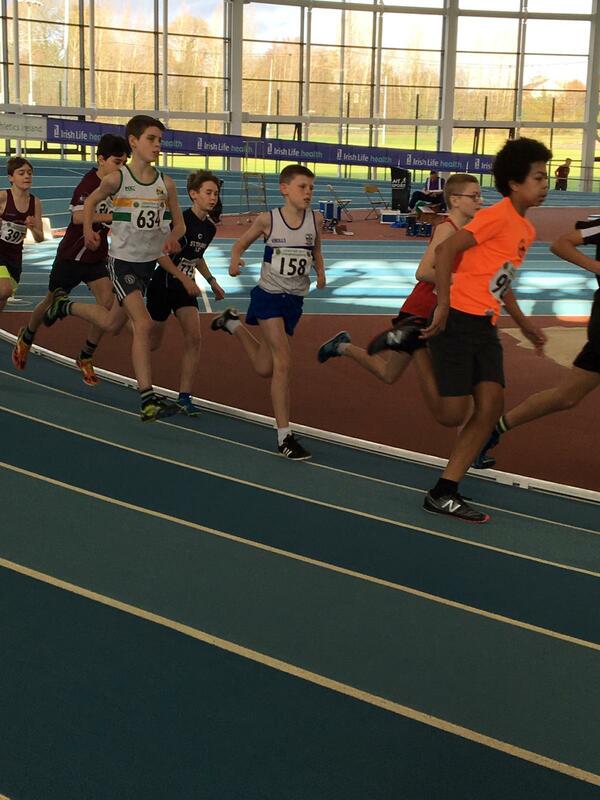 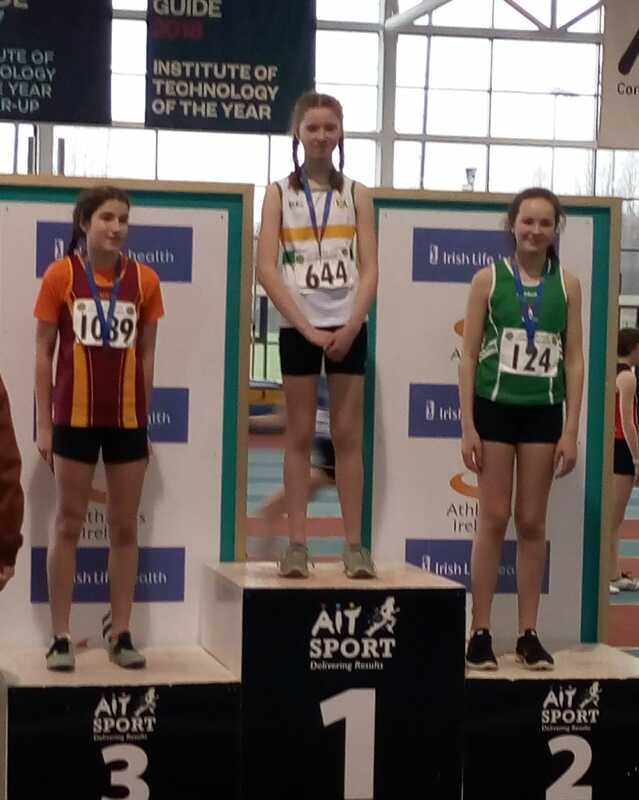 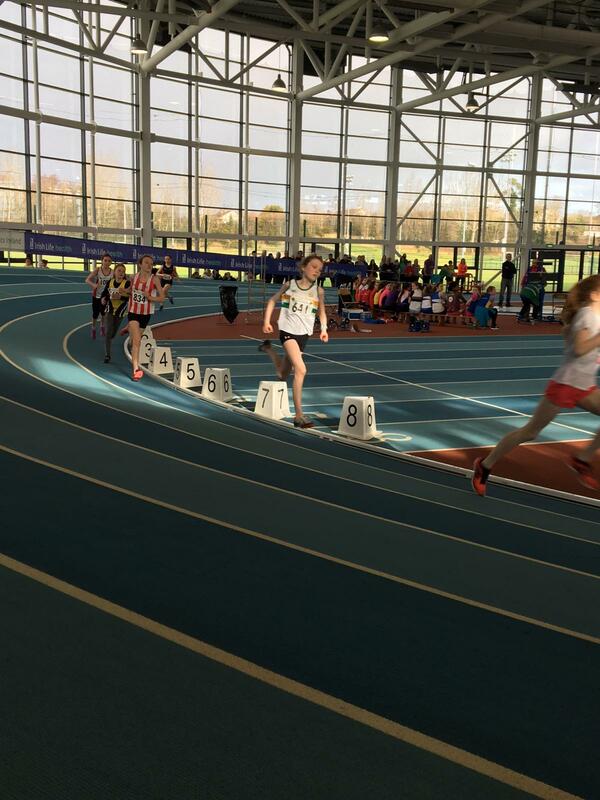 It’s a great achievement to win a medal at the Leinster Indoors Juvenile Athletics Championships, and Laois had a number of medal winners over the weekend. 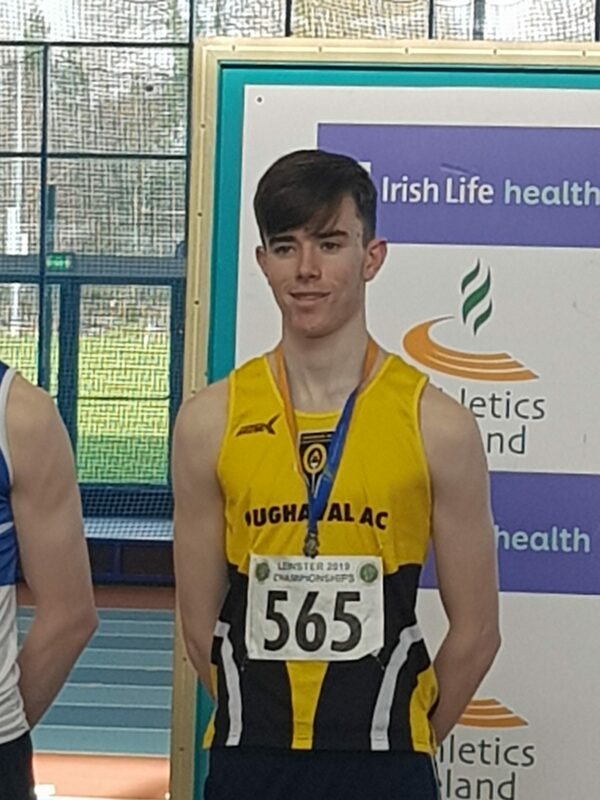 Canice Whearty Oughaval AC won two medals, he was 2nd in U18 200m on Sunday, having also been 2nd in the U18 400m on Saturday, where he posted 53 seconds for the quarter mile. 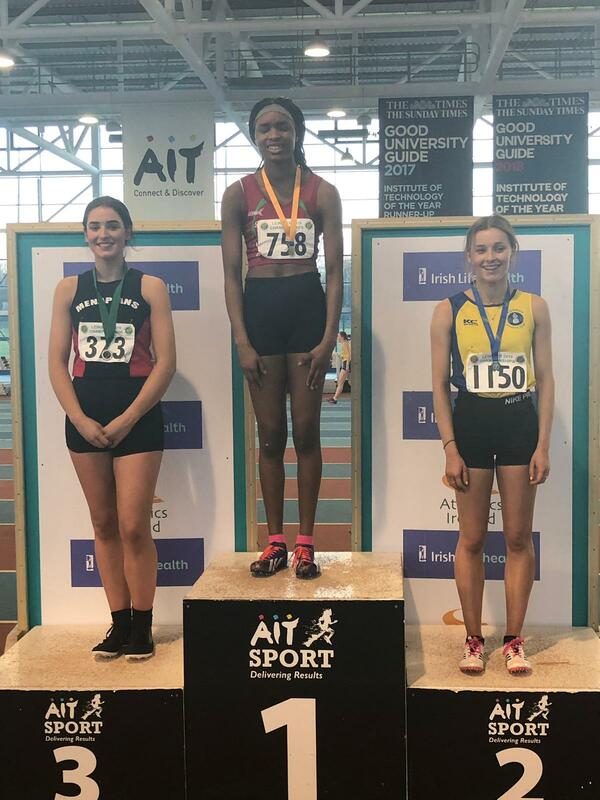 Maya Brennan St Abbans has become one of the leading jumps athletes in the country, winning the U14 High Jump in a new pb of 1.51m, well over her own height. 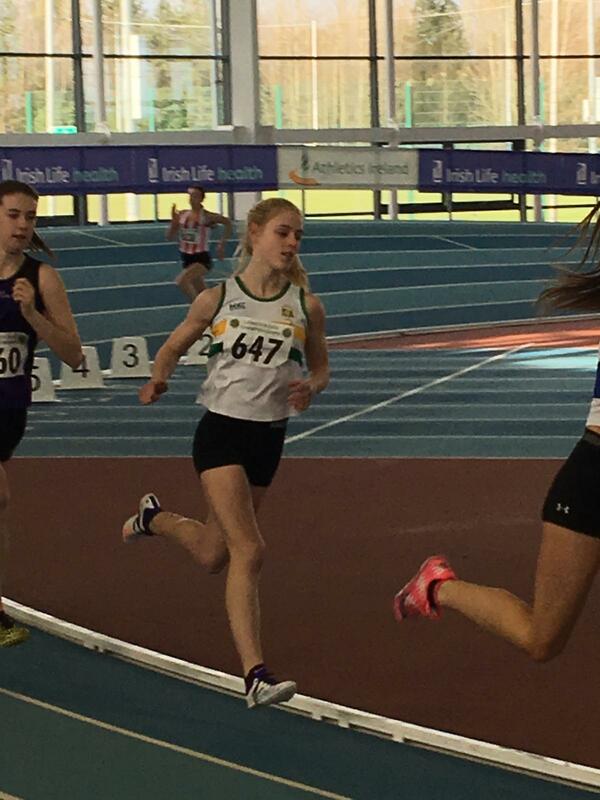 Cara Maher St Abbans showed great strength and courage to win bronze in the U19 800m, and Sarah Graham changed disciplines from her usual throws events to win silver in the U18 Long Jump. 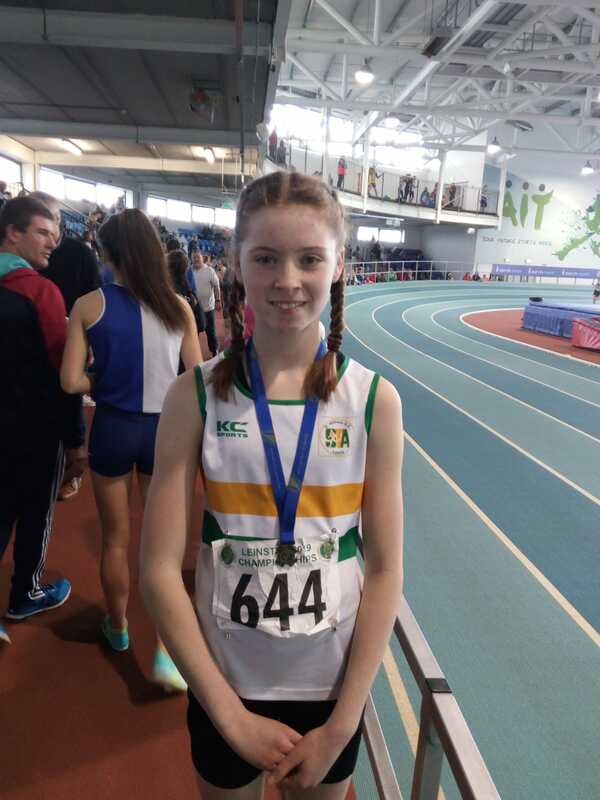 Chloe Keenan EmoRath AC got her Leinster Indoor career off to a flying start, winning silver in the Girls U-15 60m Hurdles. 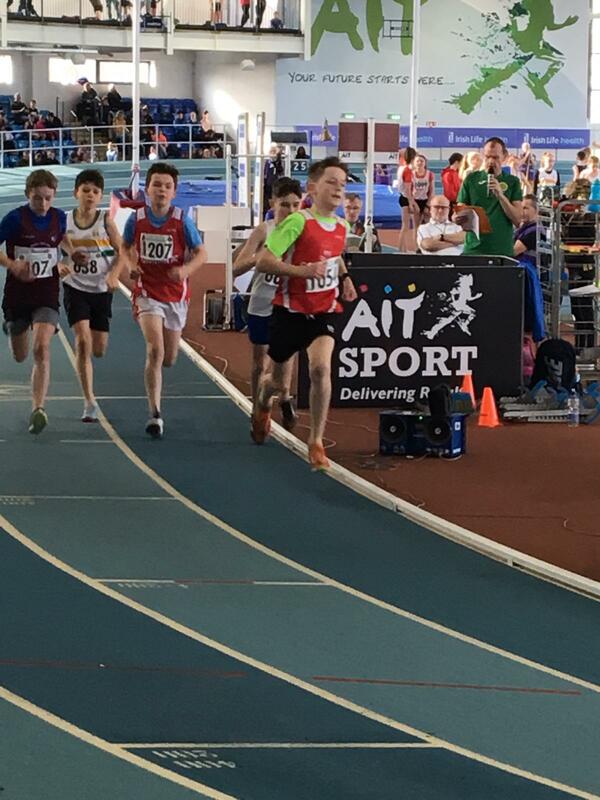 Naoimi Ikpotoken (St Michaels) is keeping the family flag flying by winning the Girls U13 60m sprint, and Emmanuel Haastrup (St Michaels) won bronze in Boys U18 400m, in a magnificent 53.15 secs. 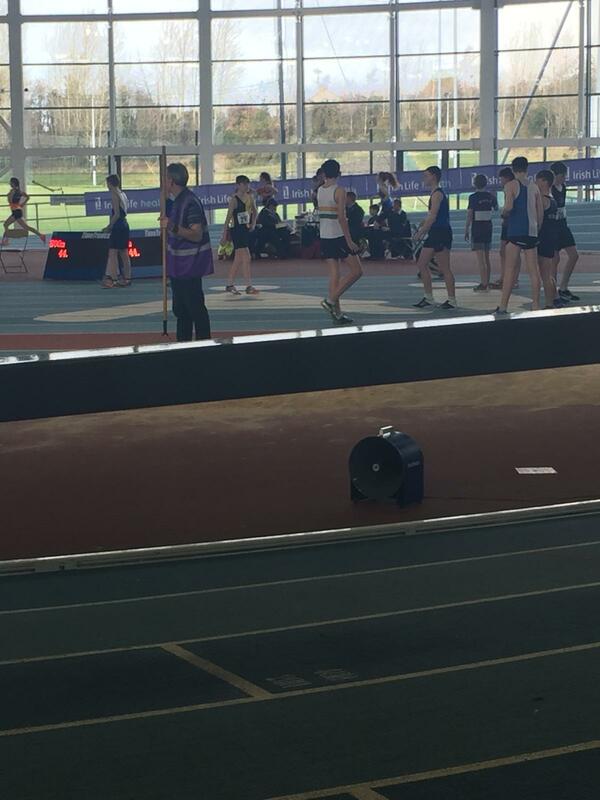 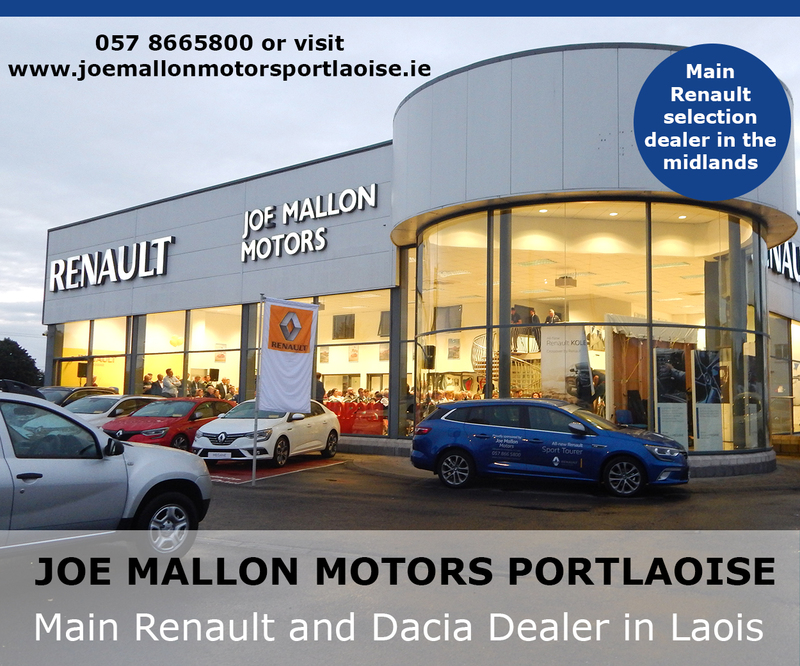 However it was the performances of Cathal Connaughton Oughaval AC and Helen Ikpotoken St Michael AC that really set the crowd buzzing. 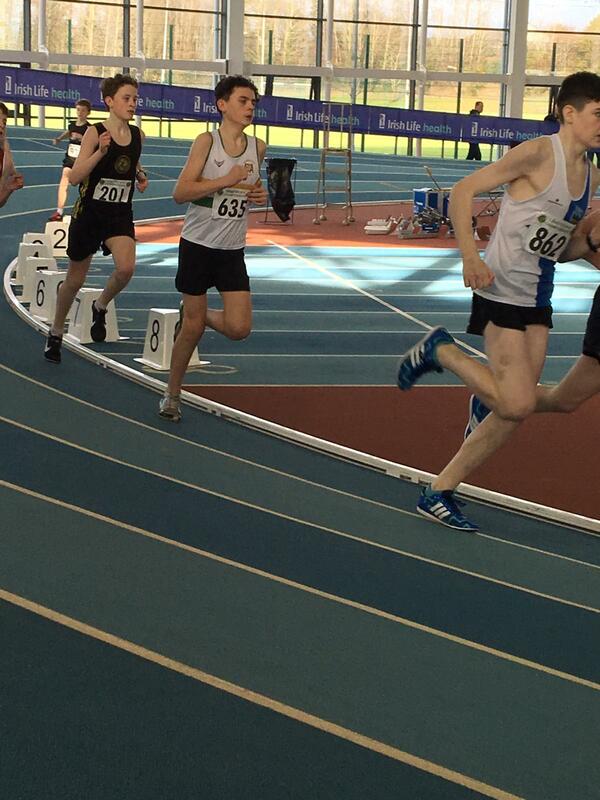 Cathal completed a very interesting treble on Saturday morning. 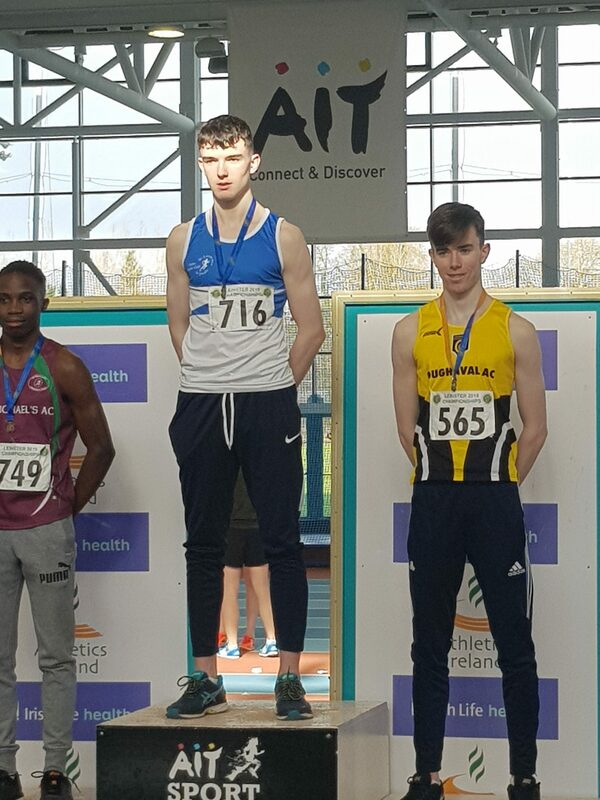 Stepping down to a new distance of 400m, much to the concern of some of his supporters, who thought it was a step too far – he blew away the opposition to win comfortably in the U19 Boys 400m. 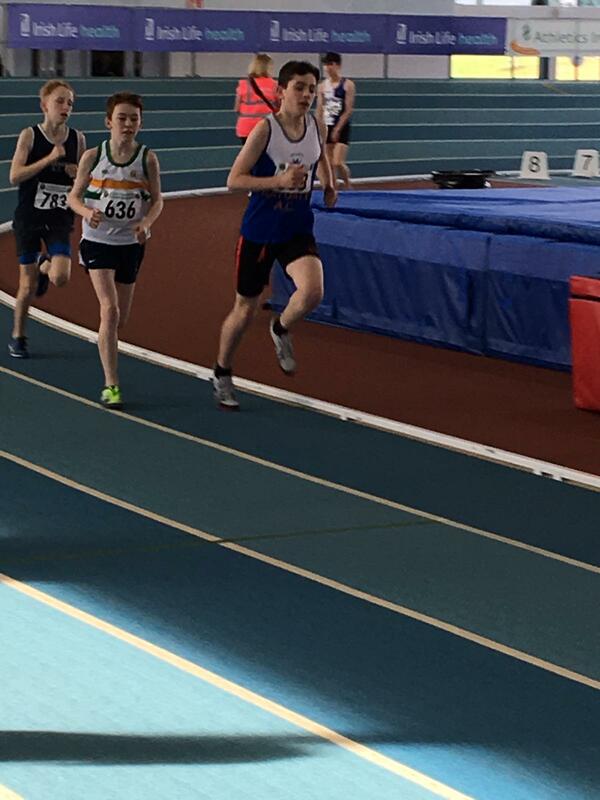 This is from a lad who won the U17 1500m 2 years ago, and won the 800m U18 last year – 3 gold medals 3 years in a row, in 3 different distances. 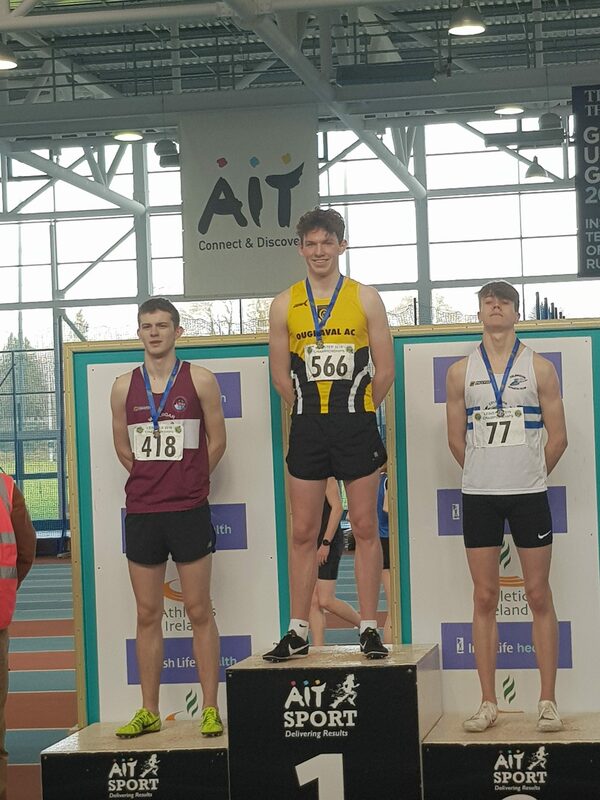 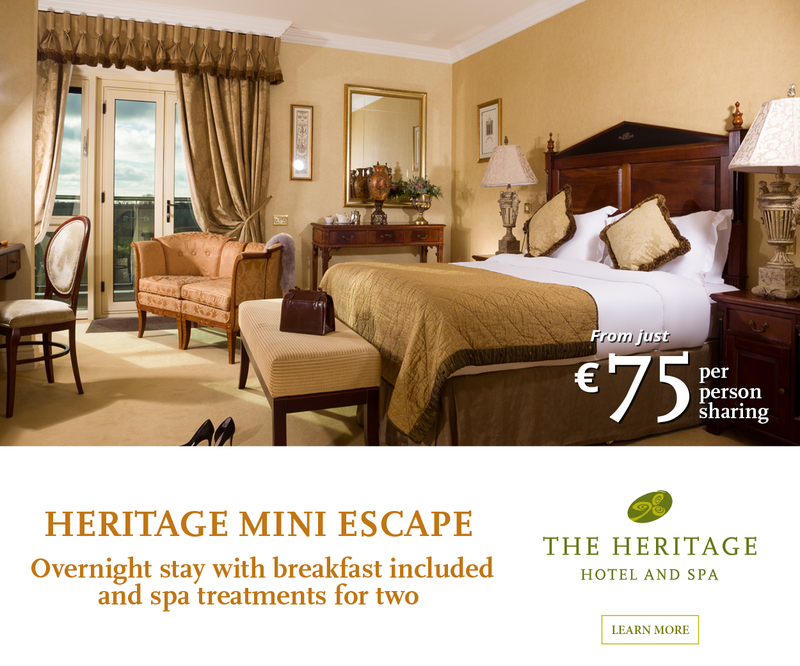 Going one better than last year, when he won the 800m and was second by inches in the 1500m – Cathal decided to drop the 1500m on Saturday, it was only an hour after the 400m, and return on Sunday for the 800m. 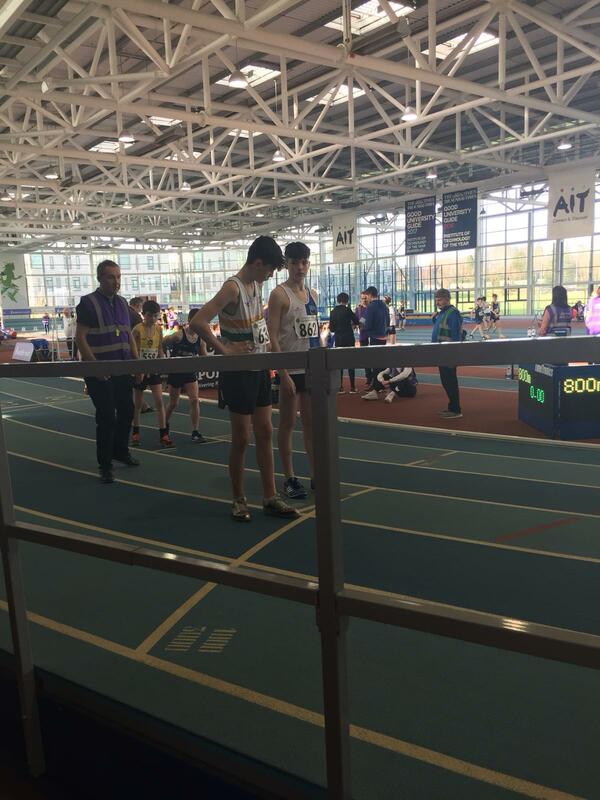 He was magnificent in the 800m, winning comfortably after leading for about 700m. 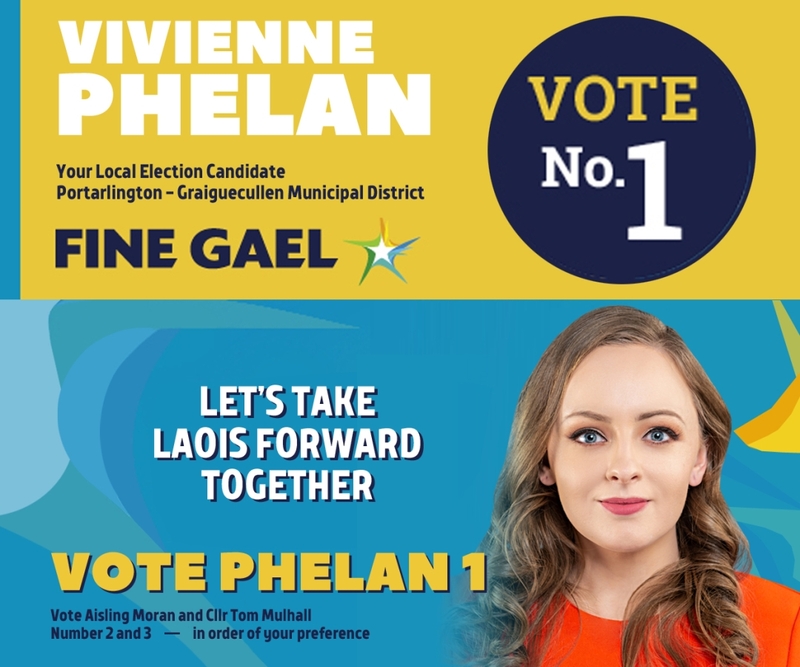 Helen Ikpotoken is taking Laois sprinting world by storm since early 2018. 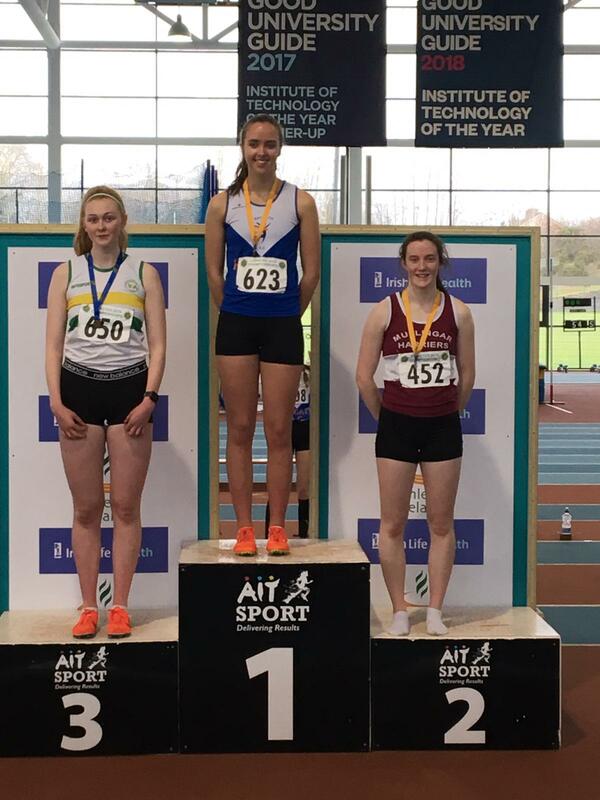 Having won numerous Leinster and Schools medals last year, her start to 2019 is sensational. 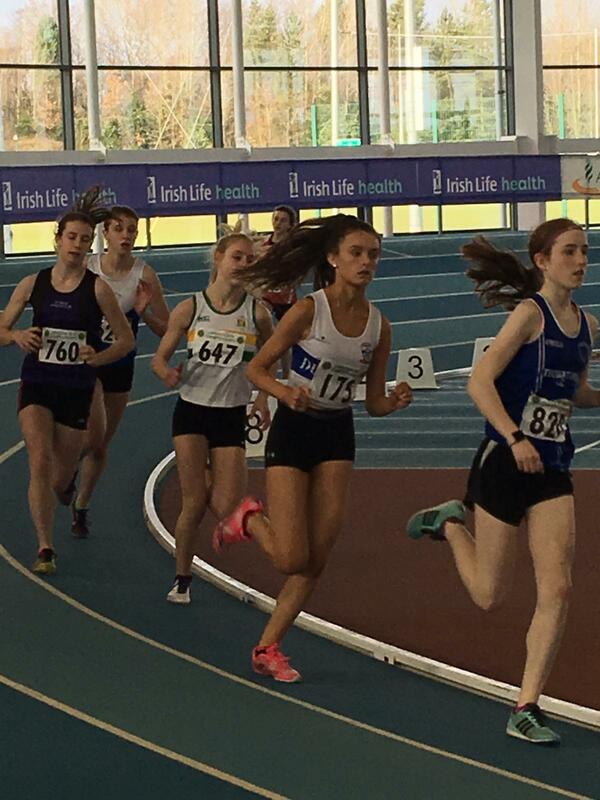 First up on Saturday was the U17 400m, and she blazed around the 2 laps in 58.84, setting a new Leinster Championship Record for Girls U17 in the process. 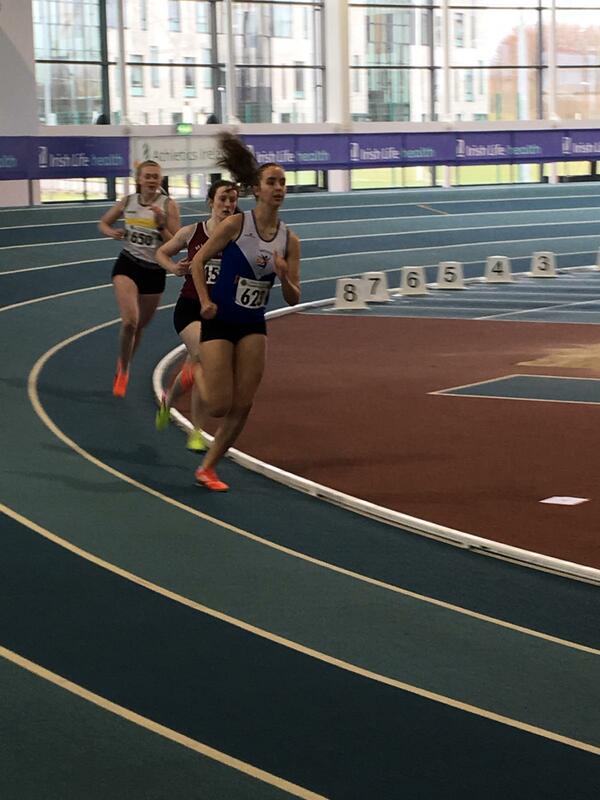 Fully recovered for the afternoon session of 60m, she came through the heats and semi-finals unscathed, and duly won the final – 2 gold medals in a few hours. 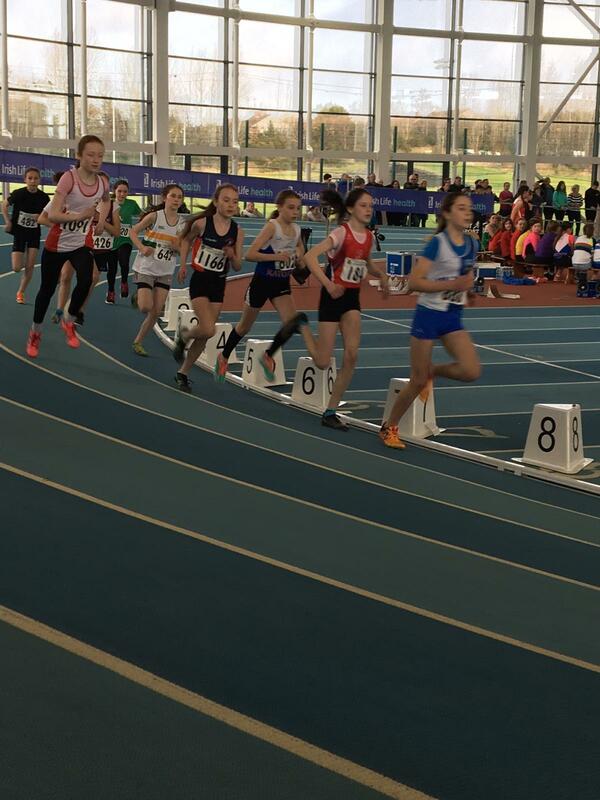 Returning on Sunday for her speciality event of 200m, both herself and her supporters wondered if Saturday had taken too much of a toll. 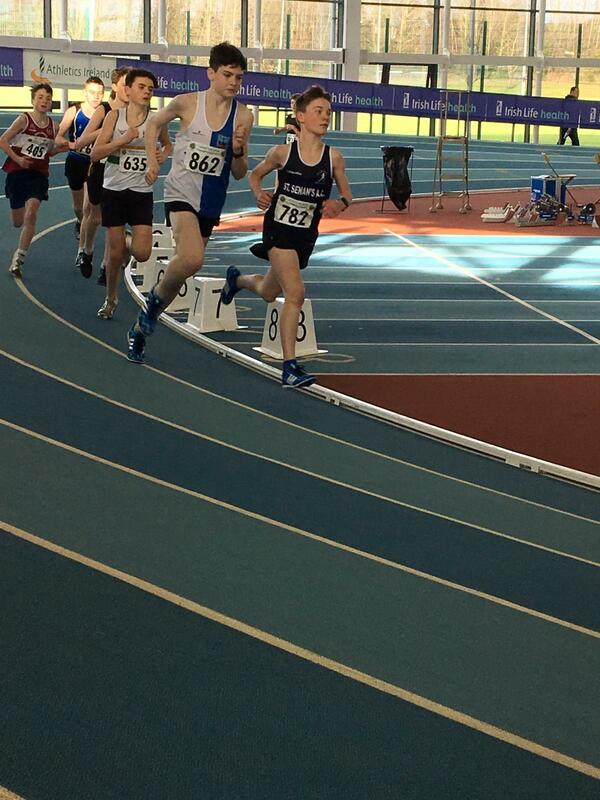 There was nothing to worry about, she qualified comfortably to the final, where she clocked 25.37 to leave the opposition far behind. 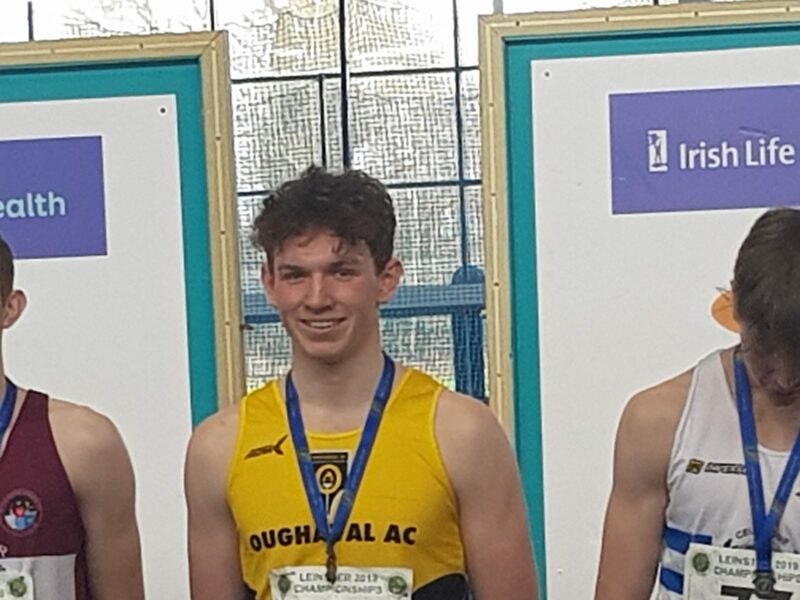 3 finals, 3 golds – one can’t ask for more than that. 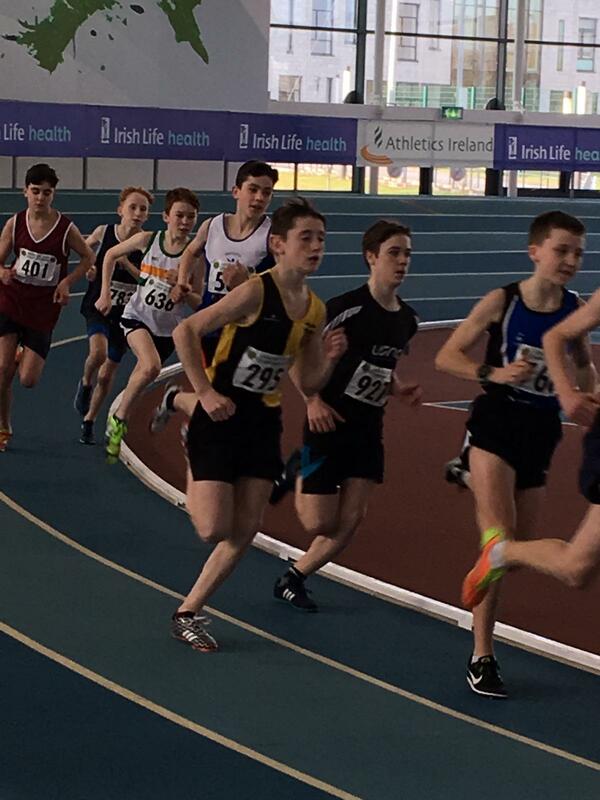 Other Laois athletes who had great performances included Faye McEvoy Ballyroan who was 4th in U14 800m Seoige English St Abbans who finished 5th in the U15 800m, having already performed well in both Long Jump and High Jump, Oisin Jago Oughaval AC 5th in U17 800m, Jake Coss Mountmellick AC, John Hughes and Odhran Dunphy Rosenallis Kilcavan AC barely missed qualification for the U18 200m finals. 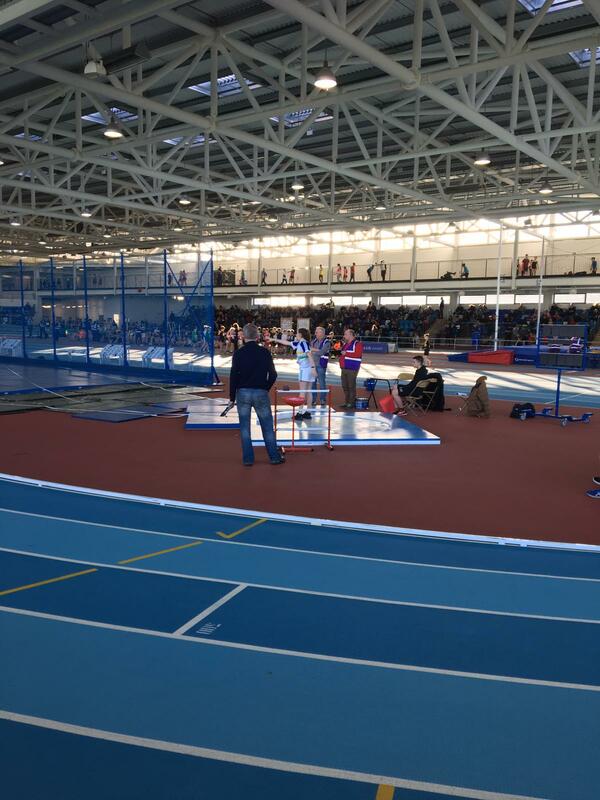 Aoibhean McDonald, Katie Baldwin (St Abbans AC), Cora Wilkie, Luke and Matthew Buggy and Patrick Hartigan (Oughaval AC) all competed in High Jump and Long Jump. 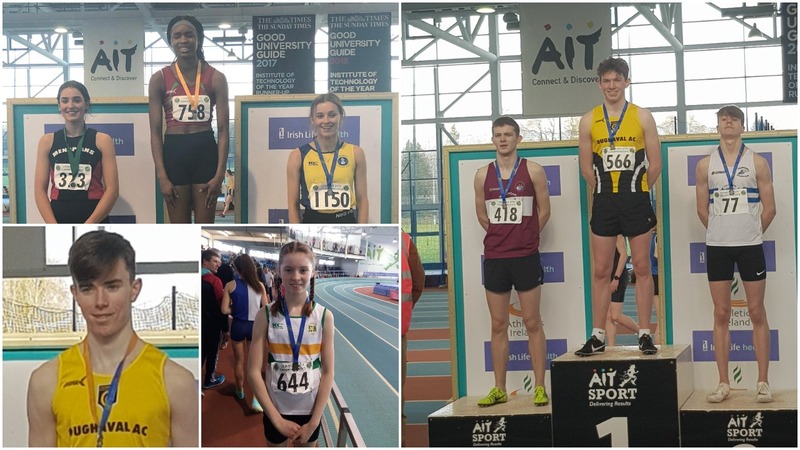 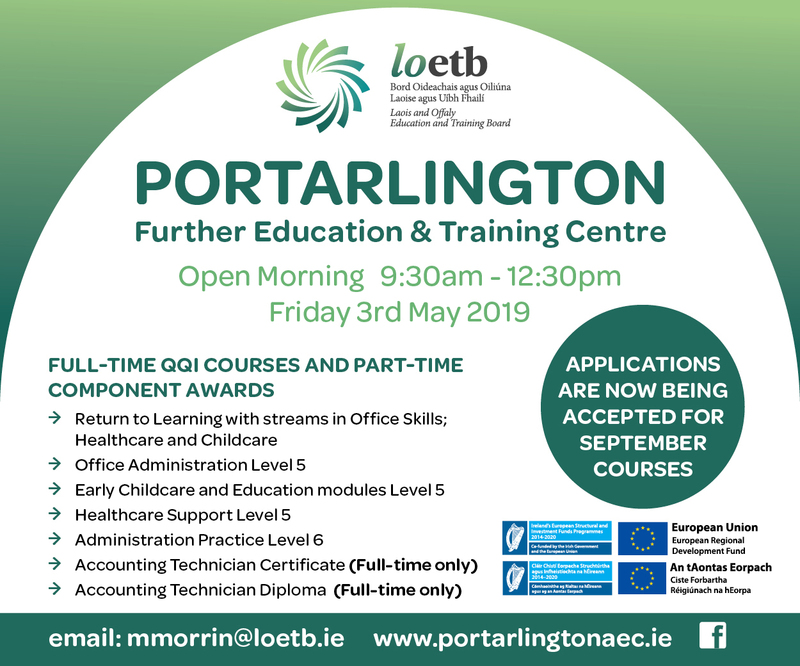 Kate Connolly and jack Murphy(St Michaels AC), Patricia Conroy (Mountmellick AC) Katie, Della and Richard McLoughlin, Ruairi Jago, Billy Ramsbottom, Noah Delaney, Andy Keane, James Doyle, Patrick and Orla Hartigan and Ella Dunne (all Oughaval AC) and Adam Buggy, Lee Murray, Eoin Cawley, Jessica Murray, Rachel Ayers and Aisling Cawley (all St Abbans AC) and Daniel Downey (Portlaoise AC) all competed in the heats of the 600m / 800 / 1500m with Daniel qualifying for the 800m final.